Skulener Rebbe’s son addressing the asifah. Upon the advice of medical experts, the Skulener Rebbe, shlita, was taken to Johns Hopkins Medical Center in Baltimore, Maryland, early Friday morning as he continues to battle an infection in his lungs. Part of the crowd attending the atzeres tefillah. 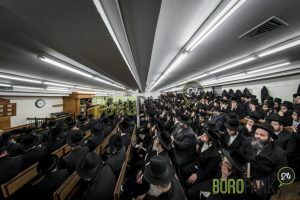 On Thursday night, hundreds of people participated in a highly emotional atzeres tefillah in the Skulener Bais Medrash for the refuah sheleimah of Harav Yisroel Avrohom ben Sheina Rochel. Barely twenty-minutes after the atzeres concluded, the Rebbe opened his eyes for the first time in more than a week. During Shabbos, the Rebbe astounded his doctors by awaking several times and responding “Good Shabbos” to those at his bedside. On Motzai Shabbos, however, some complications the Rebbe set in, and the Rebbe was taken to the ICU. 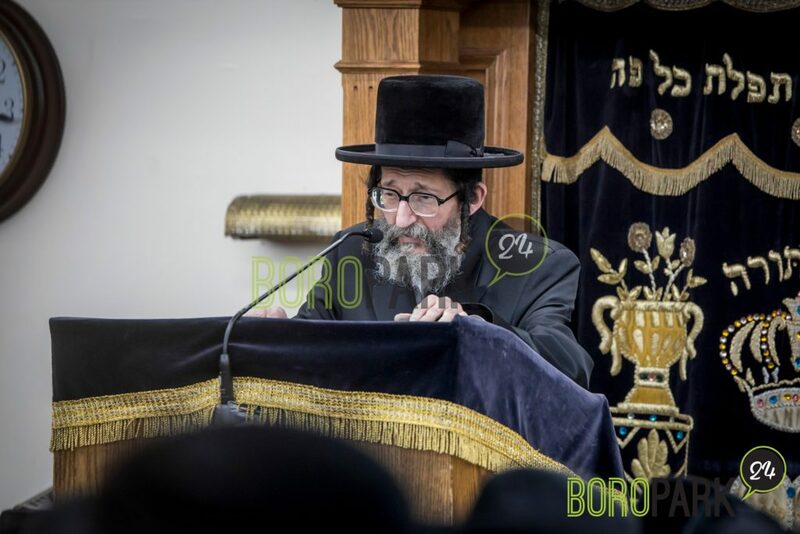 The Rebbe’s family members plead with Klal Yisrael to increase their tefilos on the Rebbe’s behalf, stressing while the Rebbe is still in need of rachmei Shamayim, that it is evident that the tefilos are making a difference.